Welcome to Conditions for Blenheim Ontario Canada. This website is privately funded by me. If you would like to donate to help offset the costs of equipment and internet bandwidth, please click on the "Donate" button below. The weather station in use is the Davis Vantage Pro 2, and the data is updated every 5 minutes (use your Browser Refresh to update). The meteorological day used at this station ends at midnight. Davis Station Forecast: Mostly cloudy and cooler. Precipitation possibly heavy at times and ending within 12 hours Windy with possible wind shift to the W, NW, or N.
The weather in Blenheim, ON Canada is and the temperature with average wind at kph from the and gusts of kph. The temperature feels like . The visibility is km. and precipitation today is mm. Severe weather bulletins are issued as a watch or a warning, depending on the risk or severity of the event. Less severe events that could be a cause for concern will be issued as a special weather statement or Advisory. 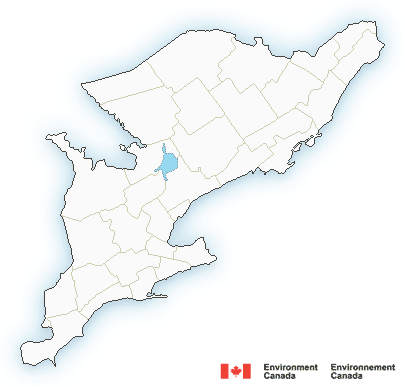 Special Weather Statements or Advisories are issued in a freestyle format for weather events that are unusual, cause general inconvenience or public concern and cannot adequately be described in a public weather forecast. They may reflect a warning in effect near the United States border. A Special Weather Statement can also be issued to indicate any potentially hazardous situation in the long term forecast. Watches are issued when conditions are favourable for the development of severe weather. Watches are typically issued for local-scale events in which the timing and location of occurrence remains uncertain; such as severe thunderstorms or tornadoes. A watch is normally issued several hours in advance. A watch issued for severe summer storms is typically issued up to six hours in advance, whereas watches for winter events at least 12 to 24 hours in advance. Weather watches are issued for regular forecast regions affected. Warnings are issued when severe weather is either imminent or occurring. Warnings for large scale events such as snowstorms are issued with an ideal lead time of at least six, and up to 24 hours. Severe thunderstorm warnings, by their nature, will be issued less than one hour in advance. Weather warnings are usually issued for regular forecast regions affected. Severe thunderstorm and tornado warnings, however, might be issued specifically for smaller warning or "sub-regions" within the regular forecast area where available. Specific warning criteria's vary by region, depending on geography, or other conditions in which a specific region could be vulnerable. Updated statements, watches, and warnings are re-issued or upgraded if required.